Click a question to show the answer, click again to close. What is head lice or louse? Head lice (scientific name Pediculus capitis) are parasitic insects that feed on human blood and cause severe itching of the head from their bites. Pediculosis is the general term used for infestation of the body or hair with adult lice, larvae, and nits (eggs). Head lice are relatively common and are not a major health hazard. More than 12 million Americans, mostly children and school professionals, are infested with lice each year. Lice is plural for louse. Head lice is spread by sharing the same bed or clothes (such as hats and scarves), combs, and/or brushes with an infested person. The lice survive only 1 or 2 days away from the scalp. 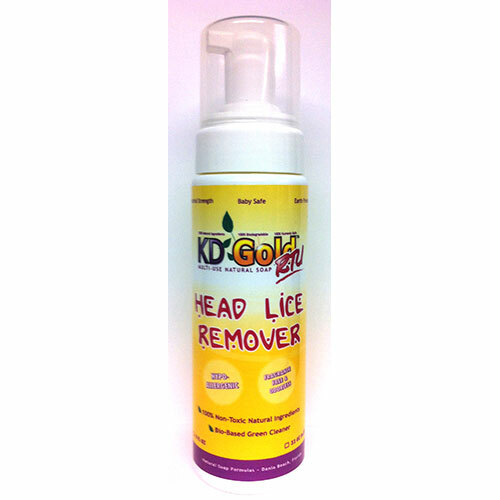 Having head lice is not an indication of uncleanliness; all socioeconomic groups are affected. Generally, the first symptom of head lice is persistent itching or scratching at the back of the head or around the ears. The lice like to stay close to the head where it is warm and close to their food source, human blood. If a child is observed repeatedly scratching his or her head, check the hair shafts and scalp closely for head lice or their nits (eggs). It is important to check for head lice in good daylight with a magnifying glass. They are very difficult to see, especially in light hair. How do you identify head lice? Head lice are gray or red-brown in color and can vary in size from 2 mm (1/8 inch) in size to just under 5 mm (1/4 inch) long. Their eggs, called nits, are attached directly to the hair at or near the hairline with a powerful glue-like substance and are white or clear in color. Sometimes it is difficult to tell the difference between nits and dry scalp. A quick test is to hold on to the hair shaft and flick it with your finger. If it moves, it is dry scalp. If it does not move, it is most likely a nit. It is possible to tell how long the person has had lice by the location of the nits: the closer to the scalp, the fresher the nit. It can take as long as 2 to 3 weeks or longer for a person to notice the presence of the lice or nits. How long is a person contagious for head lice? As long as lice or nits are still found on a person or their clothing, they can spread it to others. Lice have an approximate lifespan of 24-25 days. Adult lice each lay up to 150 nits or eggs about a week after they have hatched out. The nits hatch within 7 to 10 days. After hatching they take 8 to 9 days to become adults at which time the female louse starts laying more eggs and the cycle repeats itself. Although lice cannot live without a host, the nits do seem to survive off the head. If you get head lice once, can you get it again? Yes. And evidence is showing that the more pesticides you use to get rid of the lice, the more likely you are to contract them again. Should a person with head lice be excluded from work or school? Yes. Until live lice and viable nits (eggs) are eradicated, infested persons should be excluded. This includes isolating the person for 24 hours following application of treatment. The lice-infested person or child should wear long hair up, preferably in braids if possible, to avoid spreading the lice to furniture, clothing and others. Is there any way to prevent getting infested? Do not share clothing, hats, combs, or bed sheets with a person infested with lice. Regularly inspect for head lice in elementary school children and in individuals confined to nursing homes or other institutions where crowding may be a problem. Please read this information on chronic lice to find out how changing your life style can effect your ability to resist lice. Lice, like any parasite, prey on the weak and infirm. Keep your family’s immune system healthy by using non-toxic cleaning products and nutritional supplementation. 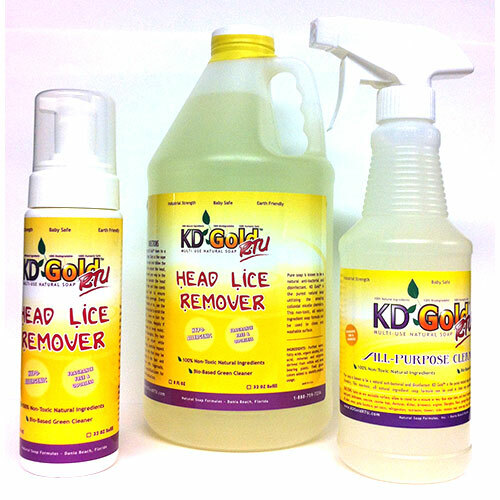 Read about healing after lice treatments. How does one get rid of lice? 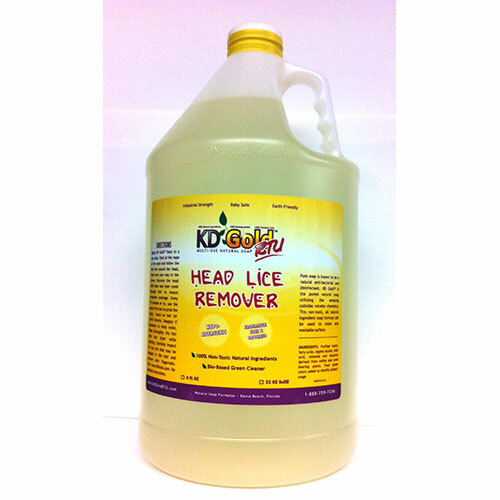 Lice must be killed in order to stop the rapid reproduction cycle and infestation. Like any living thing, killing may occur by suffocation, drowning, burning/boiling or poisoning. The most popular method among health professionals and school officials is poisoning by the use of extremely toxic pesticide and insecticide chemicals. Unfortunately, this is done with the single purpose of eradicating the louse with little regard for the health of the child. Using a shampoo is not enough to get the lice completely out of your lives. You must also be sure all surroundings are sanitized. Read more at Instructions. Be aware that using common household cleaning products for this sanitation process may exacerbate the problem. We recommend using a safe botanical soap, such as KD Gold. Is there a better way to deal with lice? 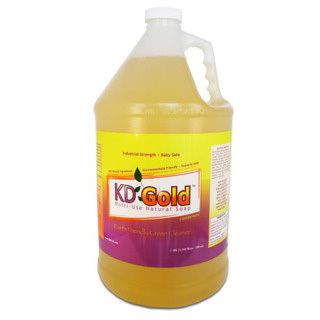 Yes, find a safe botanical soap, like KD Gold. Since soap does not use poisoning as a method of killing the lice, the lice cannot grow immune, nor is there any chance of also poisoning the humans using the product. Before the invention of pesticides, soap was commonly used for insect control. 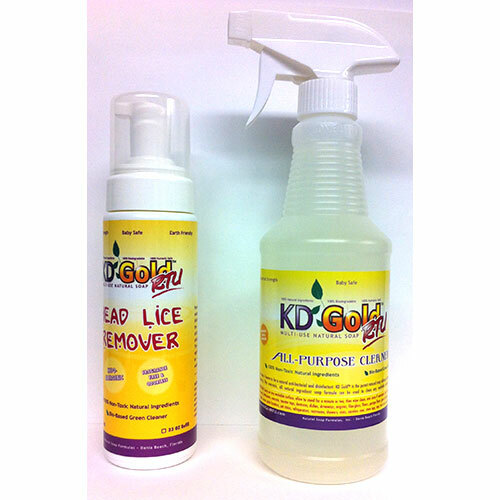 Can I do anything to counter the health damage caused by commercial lice products? Please read healing after lice treatments.